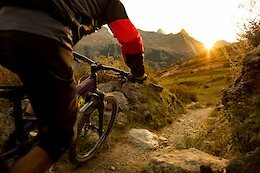 Showers Pass has a new summer collection of Merino Wool blend shirts and mountain bike shorts. 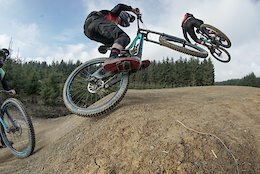 Mike Beasley & Joel Anderson rip BikePark Wales to shreds in this must-watch UK riding edit. 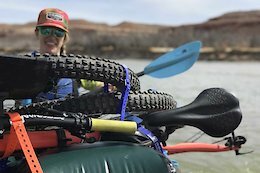 A group of eight women spends three days mountain biking Comb Ridge and rafting along the San Juan River. The changing of the seasons is well upon us. 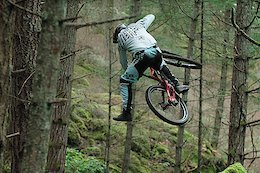 For Ferris Fairbairn, it's getting colder, darker and Autumnal, but there's always time to shred. 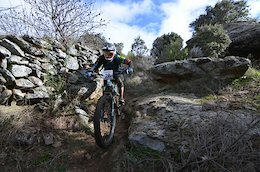 Nico Vouilloz comes second in the eMTB category at round 2 of the Urge 1001 Enduro Tour. 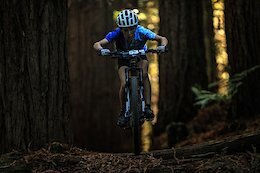 Check out the courses for the upcoming NW cup. 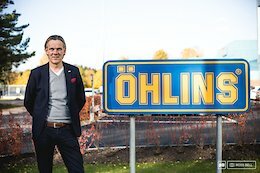 We caught up with key members of the Öhlins' mountain bike department to find out how they approach suspension, where the market is heading and what you can expect from the Swedish company in the future. 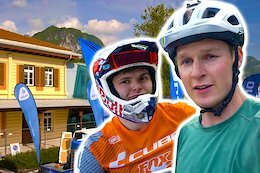 Join Scotty Laughland as he heads around a typical day around the Bike Festival Riva in Italy and even pops out for a lap with EWS star Greg Callaghan. 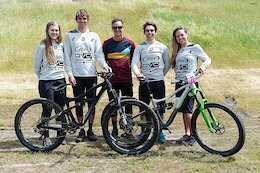 Nearly 400 talented young riders ranging in ages from 10 to 19 participated in the Crankworx Rotorua XC, Team Relay and Downhill Championships. 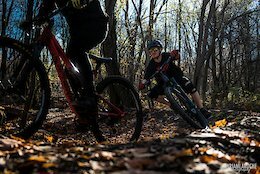 The future of mountain biking is in good hands! 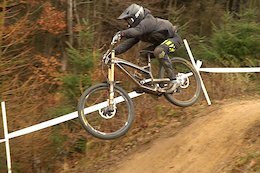 The Syndicate's season kicks off in Windrock with some Fox testing, and a Pro GRT race, before the team heads over to Croatia for the first World Cup of the season. 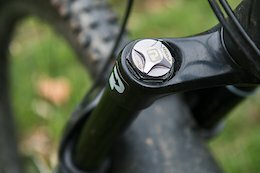 Leatt's DBX 2.0 is reasonably priced, but it doesn't skimp on safety features. 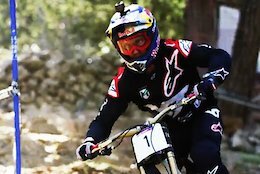 We've got 20 videos for you this week featuring Aaron Gwin, Mike Hopkins, Reece Wallace, Remy Metailler and loads more! 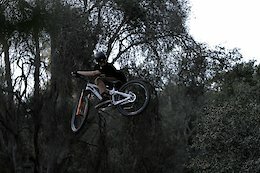 Check out the Godziek brothers getting some airtime at their local training ground where their riding speaks for itself. 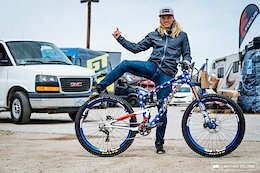 Long-time industry legend, Brian Lopes, is taking on a new role managing Ibis' US race team that's bursting with young talent. Don't you just hate it when you're throwing down and Bambi's mom feels the need to cross the course? 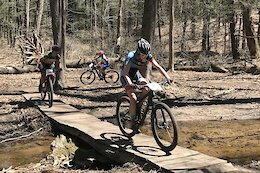 Round one of the 2018 Bubba Trophy Series race was held on flowing trails at Winding Trails in Connecticut. 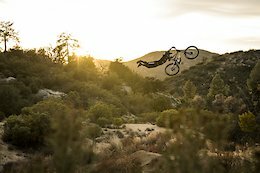 Andrew Taylor and Martin Soderstrom make their way from California all the way down the entire Baja over a two week period. 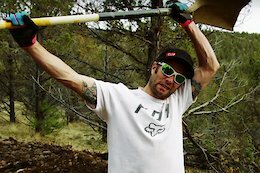 Abi breaks down how you should limber up before sending it on the trails. 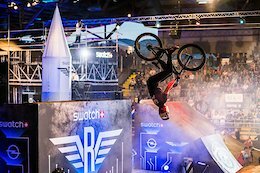 The 2018 Swatch Rocket Air 3000 served up heaps of cheesy futurism in a dirt jump spectacle that featured some of the world's best slopestyle riders. See who took the top step of the podium. 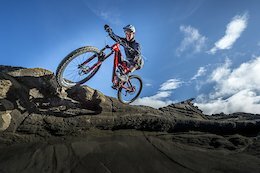 Off the back of the release of his latest film and between rehabbing from a nasty knee injury and getting fit for the season ahead, we managed to catch up with trials legend Danny MacAskill to talk about working with Claudio Caluori and what his future plans are. 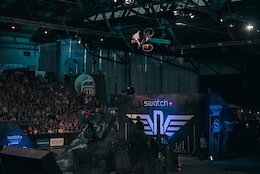 Some of the world's best slopestyle riders have traveled forward in time to bring style to a post-apocalyptic future at the Swatch Rocket Air in Thun, Switzerland. LIVE at 10:10 am PST. 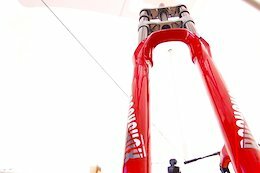 The Hugene is Propain's first 29er, with 130mm of travel and a full carbon frame. 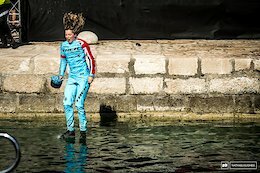 Ex-World Champion Morgane Charre is a real force to be reckoned with on the bike but her quiet and calm personality means she normally sails under the radar. 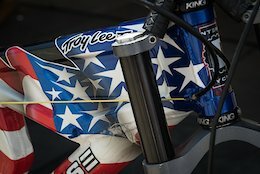 We lift the lid and get to know the 2012 Elite World Champion a little better. 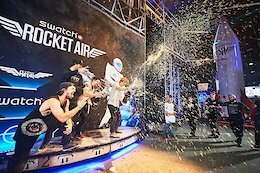 A short-and-sweet recap of yesterday's Swatch Rocket Air Team Battle. Mike Hopkins is back with another cinematic masterpiece. You don't want to miss this. 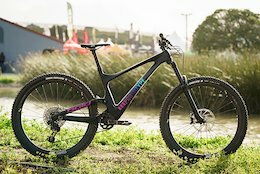 Here's our super mega ultimate recap of all the videos, photos epics, tech, and results from the past week at the 2018 Sea Otter Classic. 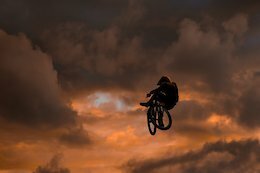 Who will be the Red Bull Rookie of the Year and get a chance to travel to Crankworx Whistler to watch the best slopestyle athletes in the world? 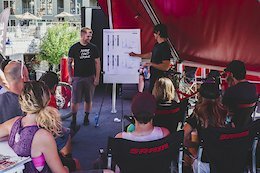 You can sign up now for the SRAM Eagle B-gap Adjustment and DUB Set Up Clinic and the RockShox Suspension Theory Clinic at Bike Fest Riva. 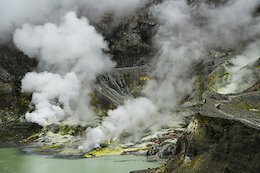 After a 3-year break from her home country, Vero returns to NZ for a break from the British winter and remembers that there's no place like home. 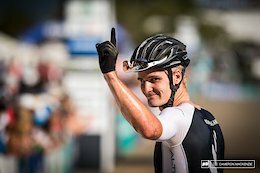 YT's World Cup winning Tues receives a facelift with incremental changes for 2018. 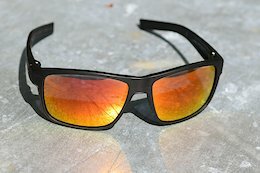 Julbo's Renegade sunglasses may look simple, but they hold their own out on the trail. 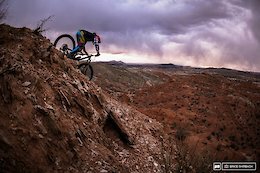 Fasthouse presents 'Bacon & Eggs,' its first mountain bike video. 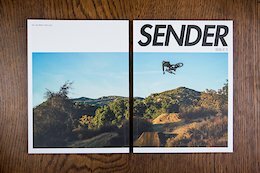 Shot in Southern California, it features Tyler McCaul, Ryan Howard, Austin Warren, & Tyler Bereman. 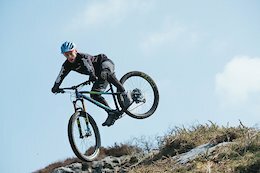 Cotic makes their way to the summit of Wales' highest peak and then opens it up on the descent! 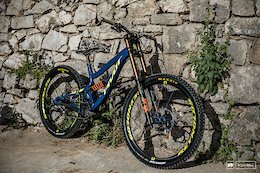 Secret DH race fiend and bundle of pure energy Cam McCaul breaks down the winners and losers from the DH World Cup in Lošinj, Croatia last weekend. 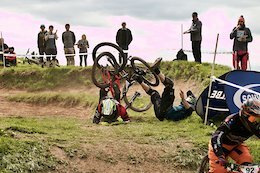 He also gives up his picks and strategies for the next round of the Pinkbike Fantasy Downhill contest! 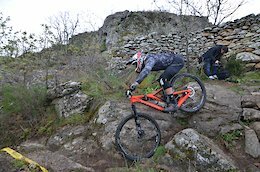 Emanuel Pombo wins the opening round of the Portuguese Enduro Series. 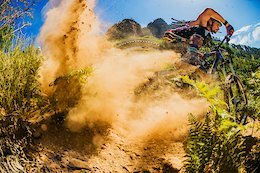 With 6 rounds across the country, the Czech Enduro Series is sure to attract some big names. 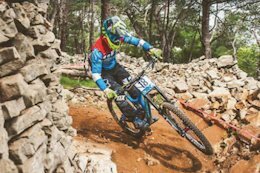 Rising EWS racer, Matt Stuttard, suffered a potentially life-changing injury in 2016 but has fought his way back to world competition. 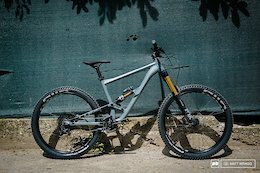 James Shirley spends the summer roaming the world in search of EWS racing glory whilst living out the back of his converted van. 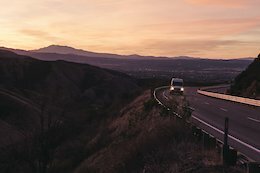 Find out what life's really like on the road. 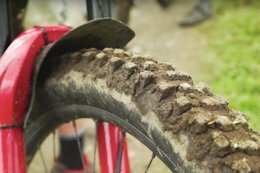 This bonkers video might inspire you to drill holes in your tires. 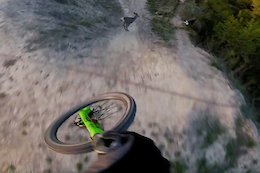 Tight in the trees and hot on the rider's tails, this drone pilot has some skill! Adrien Loron knows a thing or two about flow, and takes viewers on a journey from the trails and skate parks of California to the streets and surf of Mexico. 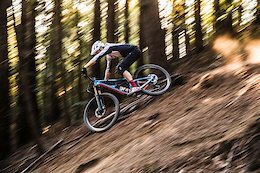 Rob Warner ventures into the wilderness of Wales for a candid encounter with one of the greatest downhill racers of all time, Rachel Atherton. 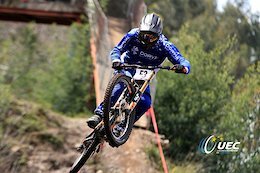 For viewers watching the UCI World Cup DH in Losinj live, the seeding order of the riders in the final caused major confusion. So what happened. Why didn't the Bulldog start last since he qualified first? 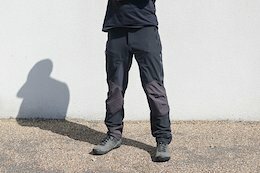 Are Madison's DWR-coated trousers light enough and cool enough to make riding in the slop worth their £89.99 price tag? 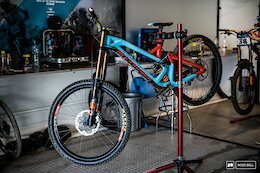 In this episode, Calvin and Truman change Rae Morrison's rotors, and then bed them in with the pads for optimal performance during the Sea Otter Classic Downhill. 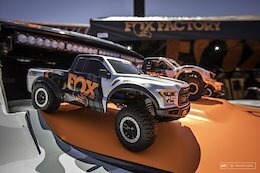 The Aussie-American trio continue to push up to race speed, this time in the axle-deep mud of Tennessee on the all-new Boxxer. 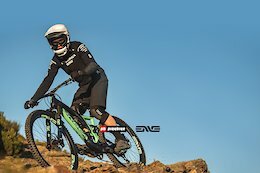 Cannondale Enduro Tour powered by SRAM kicks off in Raon l'Etape with riders like Thomas Lapeyrie, Théo Galy, Elliot Trabac, François Bailly-Maitre, Christian Texto, Nicolas Lau and more attending! 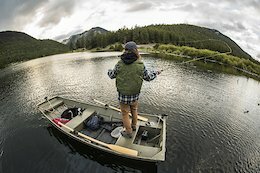 The perfect place to take beginners and young rippers looking for a confidence boost. 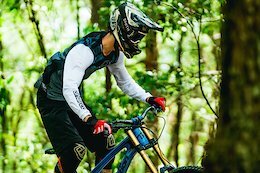 Brought up in near solitude within the New Zealand wilderness, Casey Brown and her brother kept themselves entertained by honing their skills on the FMB track with the aim of making it pro. An empty ice rink, 3000 pallets and truckloads of dirt. Find out how the course came together for the Swatch Rocket Air 3000. 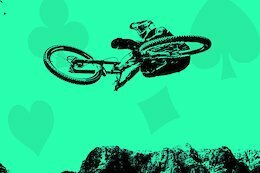 The Gamble movie will be showing at the Maury Young Arts Centre in Whistler on May 5, 2018. 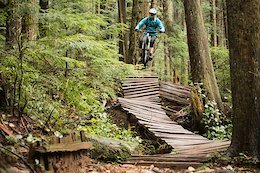 Get your dose of daily shred in BC's bike parks. 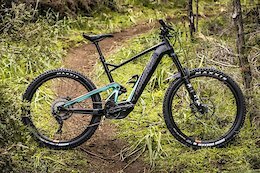 Sizing that's a big leap forward from the previous model and different grades of carbon fibre across the range could make Cube's new Stereo a hot contender for your cash. The 40-degree heat didn’t stop India’s best from battling it out in Hyderabad for a chance to compete at the World Championship final later this year. 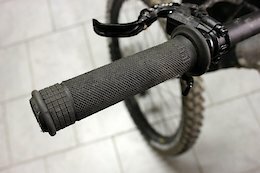 Paul Aston thinks these might be the best grips on the market. 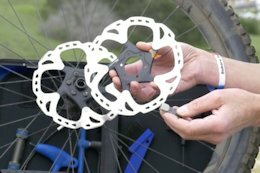 Soft, sticky, durable, cheap, customizable with great damping, what more could you ask for? 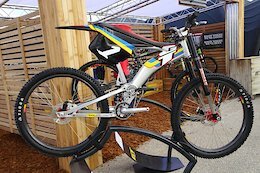 Race trucks, rowdy rubber, gourmet race food, articulating packs, shameful amounts of carbon, and a bike that everyone had to pet. 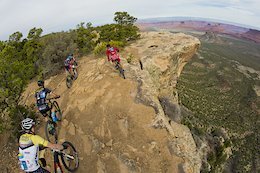 Riders ready, watch the gate... 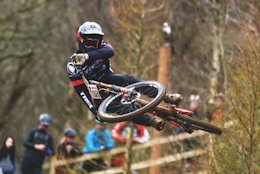 Check out all of the tight action from the second round of the Schwalbe British 4X Series in Cheshire. 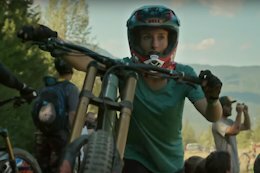 Shred Sisters are going to run three Cyclo Femme rides – two in BC and one in Alberta. 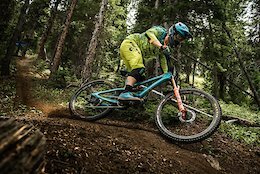 Wyn Masters gets a first-hand perspective from downhill's elites on how the first World Cup of the season went down. "The rain in Spain stays mainly in the plain." Or at every Endurama MTB race! 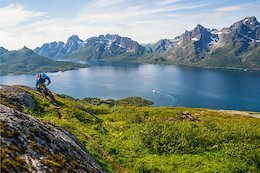 Narvik & The Lofoten are a natural wonder of the world with Velcro-traction granite and unridden trails. 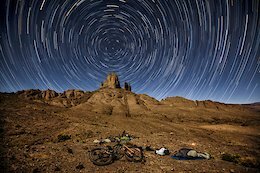 Big Mountain Bike Adventures whisk you away with this short story from their time out there. 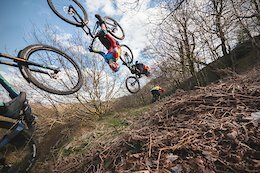 Cai Grocott and Max Rendall rip Orbea's trail bikes in the Basque Country sun. 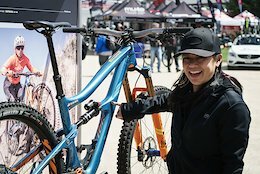 A round up of the newest women's apparel and product and the fastest female racers at Sea Otter. 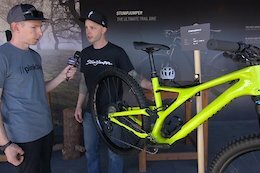 Specialized recently launched three new Stumpjumper models - watch as Pinkbike tech editor Mike Kazimer and Specialized's Steve Saletnik go over the changes for 2019. 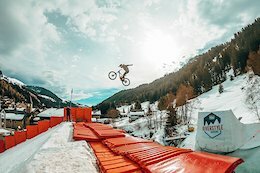 Big moves, big balls, and big dreams: Fabio Wibmer's latest video, Fabiolous Escape 2, is full of massive jumps, high speed and tongue in cheek comedy. 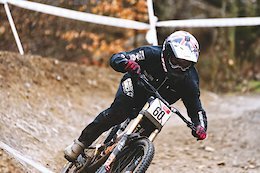 Video and results from the first Maxxis Eastern States Cup enduro of the 2018 season at Glen Park in Stroudsburg, Pennsylvania. Mudbud's cloth claims to give your rig the premium clean it deserves. 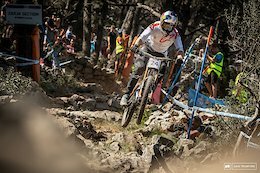 Check out all of the team videos from the opening round of the 2018 UCI Downhill World Cup from Lošinj in Croatia. 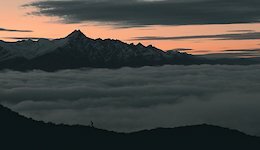 [More videos added as we get them]. 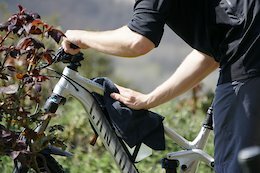 Thule comes out with a winner, right out of the gate: lightweight, well ventilated and intelligently simple. 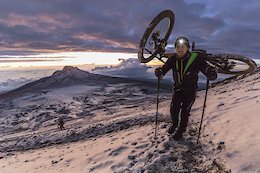 Two friends take on the rugged and renewing nature of Canada's Pacific North West on a human-powered fat bike and surf adventure around Haida Gwaii. Dry and dusty conditions with a packed field made for a great race. 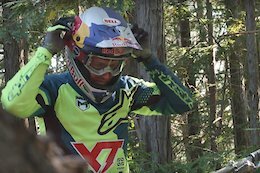 Three privateer racers and good friends head to Port Angeles to race the second round of the Pro GRT, and although their results weren't what they were expecting, there was no shortage of excitement. 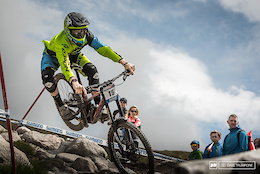 Race Alongside the World's Best at Crankworx! 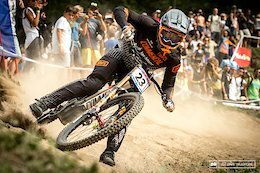 Want to race alongside the world's best at the European stops of Crankworx in Innsbruck, Austria and Les Gets, France this June? Find out how here. 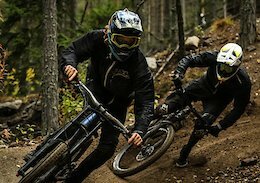 The Trail Blaze Crew smash turns and roosts every inch of the Hellsend Dirt Compound in the second of their videos. 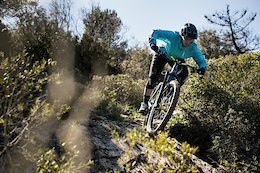 The Spanish pro mountain biker, two times trials World Champion and bike adventurer partners with Kross Bikes from Poland. 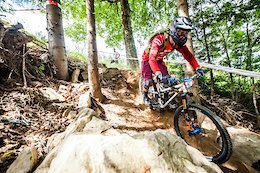 The Croatian World Cup DH track may have been a relatively short course, but it packed in all the good stuff, and left no one disappointed. 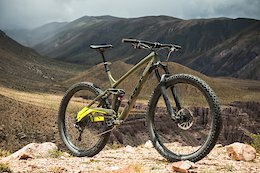 ION's 2018 shoe lineup is looking like it's full of features all geared up to give you more grip on the bike. 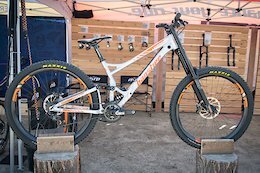 Dry, dusty and flat out – would you expect anything less from the Sea Otter DH? 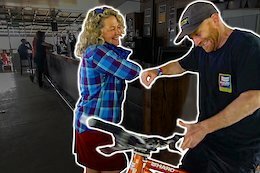 Brett Tippie hits the Sea Otter Classic again finding all the latest parts...but they don't have long to talk about it! 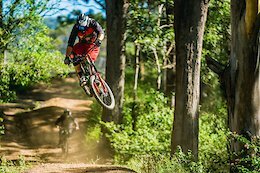 We've got 20 videos for you this week including videos with new tyres from Greg Minnaar, the world's highest sand dune, some Vancouver Island gold, BMX sending and loads more! Please enjoy. 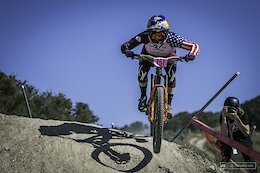 Jill Kintner and Jared Graves dominated on the high-speed and exceptionally dry Sea Otter downhill track. 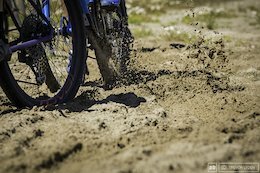 Dusty and rocky conditions brought on by the balmy heat and relentless sun meant that the tracks weren't the only challenge at the opening round of the Italian national enduro series. 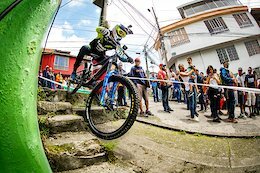 The results are in for Round #1 of the Fantasy Downhill Presented by Trek. Check how you did in the Global ranking. 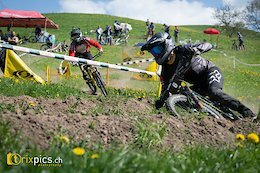 Homberg in Switzerland hosted the first round of the 2018 European 4X series – check out the reply and results here. 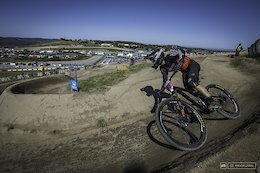 In the final mountain bike event of the weekend at the Sea Otter Classic, Jared Graves and Jill Kintner rode fastest. 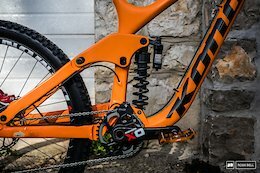 Jamis joins forces with Speedgoat's Chris Currie to introduce his pedal-friendly short-link rear suspension. 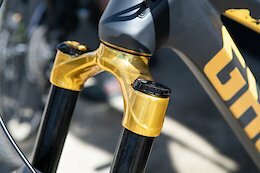 You'll find titanium cranks, gold forks, CNC'd building blocks, and much more in this batch of images from Sea Otter. 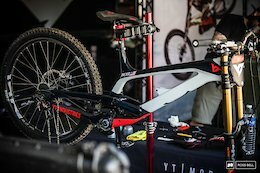 Saturday was jam packed, and exhibitors responded by pulling out their secret stuff. Take a look. 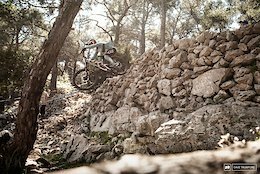 See the top runs on Lošinj's ruthless, relentless track. 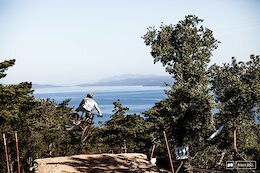 Results for DH Round 1 in Losinj, Croatia. All riders have posted and are recovering from the treacherous track. 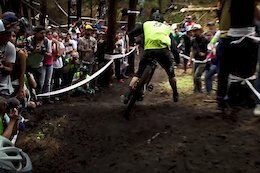 Fast and dusty racing from Monterey, California - the Dual Slalom of Sea Otter always delivers. 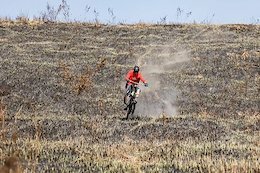 Dusty, flat corners set the stage for one of our favourite races of the year. 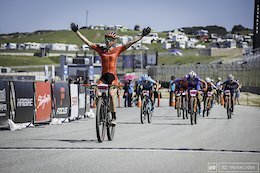 Annika Langvad took her second Sea Otter win and Anton Cooper took the win for the men in the XC. 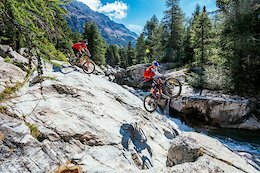 Alberto Martinelli explains how the series has evolved since 2008, forging the path for enduro everywhere. 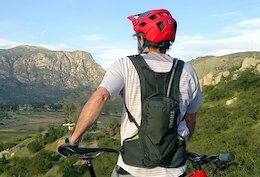 The latest products in mountain biking just keep coming, and Brett Tippie is taking you there for all of them. 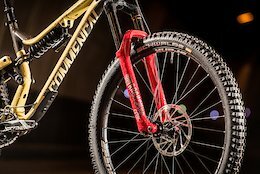 Want to know which DH forks are out there for 2018? 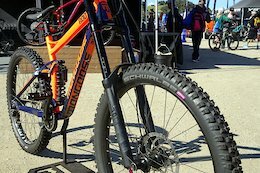 We found 6 of them at Sea Otter. 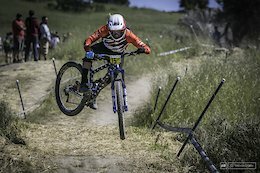 See who took the top step of the podium in the 2018 Sea Otter Classic Dual Slalom. 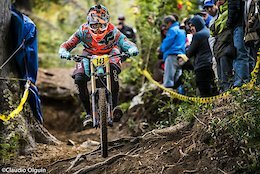 The opening round of the 2018 Italian national Superenduro series was won by Florian Nicolai from France and Italy's Laura Rossin. 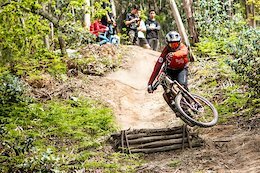 In a brutal start to the season, some riders mastered the rough terrain, but many others suffered mechanicals or flat tires and did not make the finals. 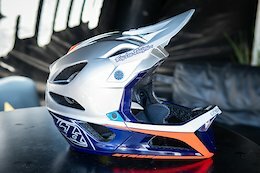 The TLD Stage helmet is expected to have a sub-700 gram weight when it becomes available later this year. 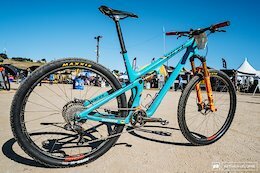 See who took the top step of the podium in the 2018 Sea Otter Classic XC Race. 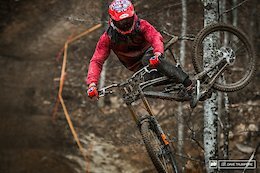 Watch Brook Macdonald, Rachel Atherton, Dean Lucas, Tracey Hannah, Aaron Gwin, and Myriam Nicole's qualifying runs at the 2018 Losing DH World Cup. 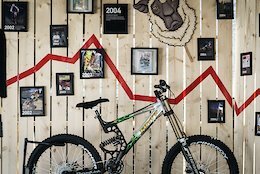 To kick off a year of celebrating our 20th Anniversary, our booth at Sea Otter features some of our favourite moments, gear, and stories from the last two decades. 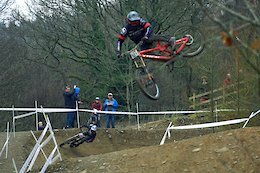 The new track in town throws us up something different - find out who's last down the hill in tomorrow's finals. 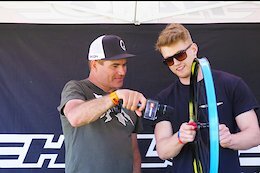 Tippie checks out the newest mountain bike products at the 2018 Sea Otter Classic, but only gives the brands 30 seconds to tell him what they've been up to and why it's awesome. Can they do it? So many flats. So many rocks. It's a discipline we will hear more about this season as it has been added to the XC program in the World Cup. 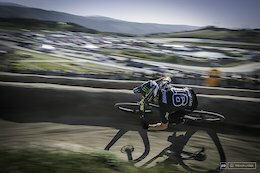 Today Annika Langvad and Nicola Rohrbach took the win at the Sea Otter Classic Short Track. 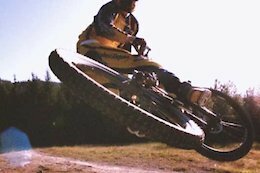 With the first round of practice in Losinj complete, the brutality of the Croatian track is coming out to shine. 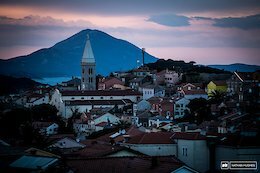 Jump on board with Brendog and take a run down the Losinj 2018 World Cup Course. 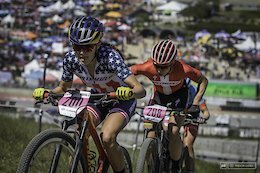 See who took the top step of the podium in the 2018 Sea Otter Classic Short Track. 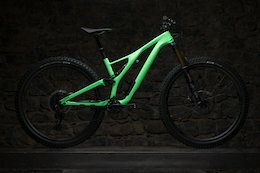 Bold have a new bike on the way, with big wheels, 165mm of travel, and a 63.5-degree head angle. 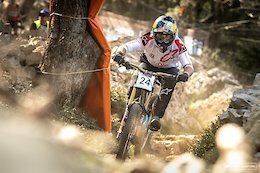 Brook Macdonald and Rachel Atherton go fastest in timed training at Lošinj! 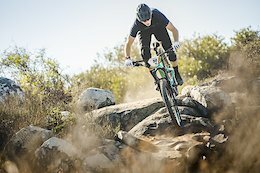 Type your questions for Jared Graves in now, and starting at 12:00 PM PDT/8:00 PM BST on April 20, 2018 Jared Graves will answer as many as he can on LIVE camera from the Sea Otter Classic. 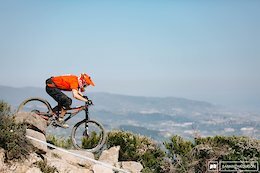 Loic Bruni Out of Lošinj World Cup? 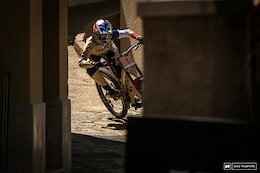 Could Loic Bruni be out of the running at World Cup number one after suffering a suspected dislocated elbow? 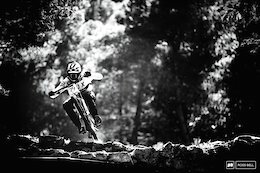 Pinkbike Poll: Who Will Win in Lošinj? 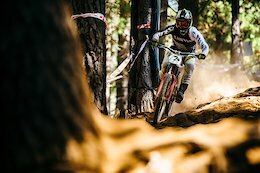 The clock starts ticking this Sunday at the first Downhill World Cup of 2018. Who's going to win? 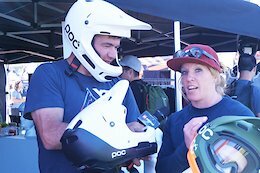 Wyn Masters chats with downhill's elites in Losinj as they get ready for the first World Cup of the season. 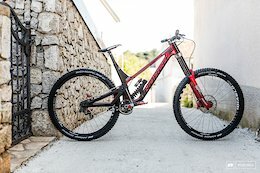 What's Happened to Claudio's Lošinj Course Preview? 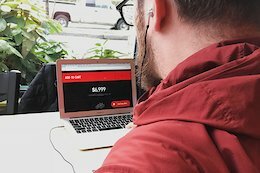 The whole internet is waiting for the famous and much-loved Claudio course preview to drop, but where is it? 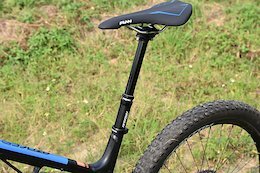 Funn's new UpDown dropper post uses a twin tube cartridge system to help eliminate saddle sag issues. 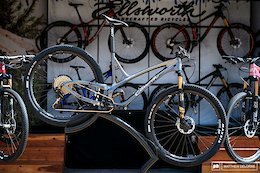 The bike that launched Ellsworth rises up from the ashes as a whole new animal. The long wait is over. 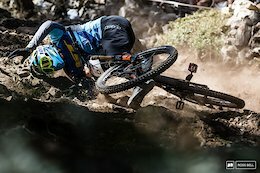 Round one of the UCI World Cup is finally upon us once again, and after a half-year hiatus, it's off to a rocky start. 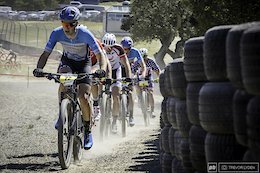 Mountain bike racing at the 2018 Sea Otter Classic kicked off with some fast, pedally enduro action. 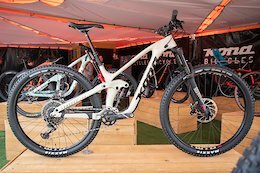 Kona had a wide range of new models on display under their bright orange tent, everything from a new carbon hardtail to the 29” Operator. 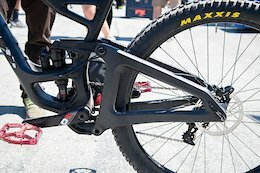 MRP debuts a dual crown fork that's designed for freeride and mini-DH bikes. We do our first walk around the city of flags at the Laguna Seca race track and find some colourful new products. Leave the phone in your pocket. 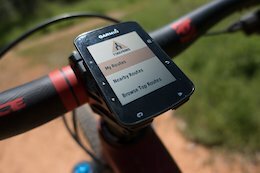 Trailforks now available on Garmin Edge handle bar mounted devices. 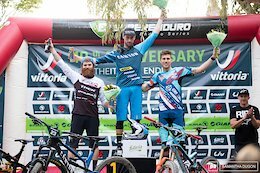 See who took the top step of the podium in the 2018 Sea Otter Classic Enduro. 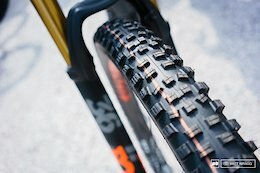 Designed by the GOAT himself, we've been putting the miles in on Maxxis' newest downhill tire. 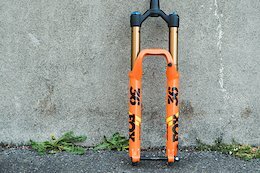 It's finally real, and you can get the 200mm-travel Aurum HSP with either 27.5'' or 29'' wheels. 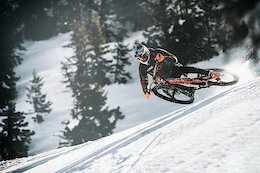 Go where no one else can with the BikeBoard, that'll transform your bike into a ski piste eating machine. 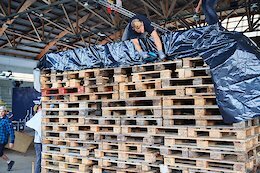 Carson Storch and Kyle Jameson have been busy rebuilding the Black Sage Fest Series course for 2018, making improvements to last year's build for more air and flow. Oh look, it's Kirt Voreis! 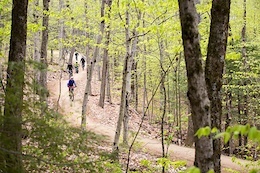 Results from the 10th annual Pisgah Stage Race held in the Pisgah National Forest. 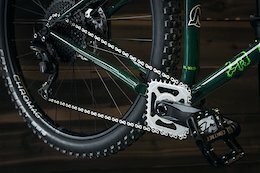 Pivot's Switchblade is now available in aluminum making their 135mm travel dw-link trail bike more affordable while retaining all of the sought after ride characteristics of its carbon sibling. 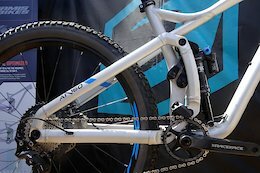 Norco's new 29er DH bike is ready to roll on both 29 and 27.5-inch wheels. Kyle Strait leads no ordinary life. 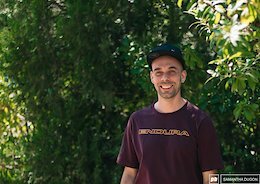 DHaRCO find out what he's planning for 2018 and does some riding in the Southern Hemisphere sun. 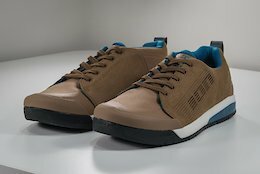 We chat with the individuals involved in the process from conception to design to delivery to the store. 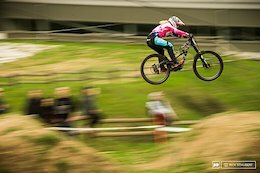 Mille Johnset: The Next Rising Star of World Cup Downhill? 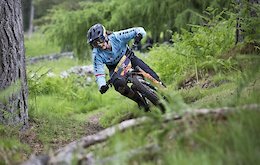 Mille Johnset has the future at her feet and is feeling ready to take on her first world-level downhill race under the careful guidance of the Atherton Academy. 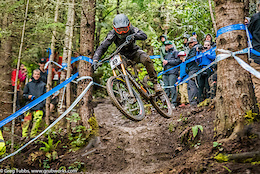 A muddy Port Angeles delivered the goods for the opening NW Cup and round 2 of the Pro GRT. 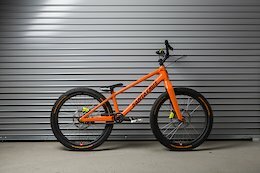 Madison Saracen reveals a brand new 27.5 and 29 Myst bike only available for team riders Danny Hart, Matt Walker and Alex Marin. 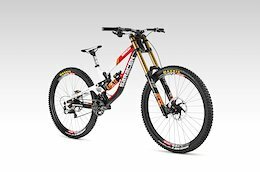 Saracen have promised the bike will be ready for public release at a later date. 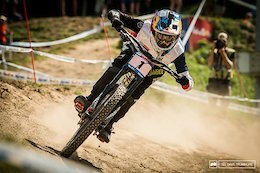 The first round of the 2018 downhill World Cup is here! 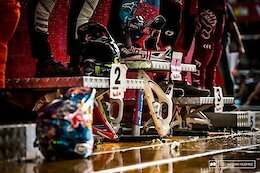 Get all the details on the inaugural world-level race at the Croatian track in Lošinj. 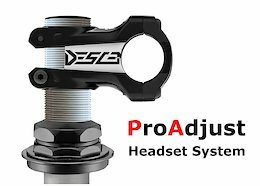 Shortest stack height and simple user-adjustable stroke ensures that you get the most available drop, regardless of your frame's limitations. 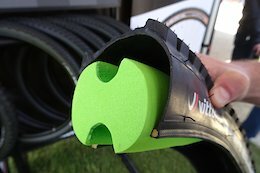 OneUp's new dropper post has up to 170mm of drop and they claim it has the shortest stack height than any other post on the market so you can upgrade your post to an even longer one for control. 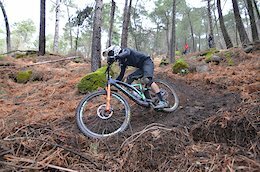 We headed to Ainsa, Spain, to get acquainted with the redesigned Specialized Stumpjumper. 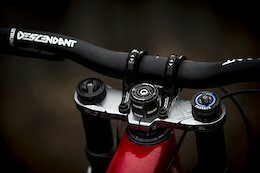 Crankbrothers announces Loic Bruni signature pedals that tout an asymmetrical double-anodized red and blue colourway along with SuperBruni stylized logo details. 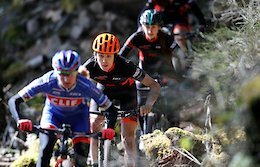 Norco Bicycles announces the six female ambassadors that are joining Norco for the 2018 season. 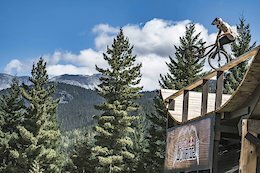 Highland Bike Park is hosting a Women's Gravity weekend May 18-20, 2018. 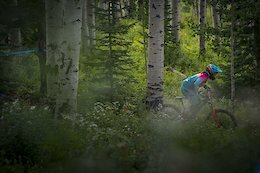 Directed by former pro mountain biker-turned-filmmaker Darcy Hennessey Turenne, this film is a comprehensive look at how the sport began, told by the characters like Richie Schley who lived it first hand. 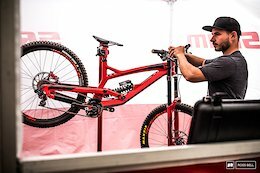 Ahead of World Cup number one, Aaron Gwin talks about his aspirations, his favourite and most challenging tracks and the current state of World Cup racing. 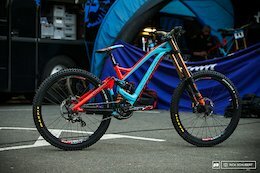 So far over 13 thousand Pinkbike readers have picked their dream DH World Cup team! 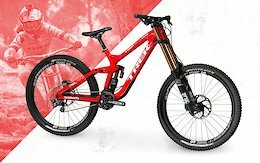 We've tweaked a few things and have some exciting new additions, so read on to improve your chances to walk away with a Trek Session 9.9 and other prizes. Lines in the Dark shows just what you can do with a bit of digging, some passion and a whole lot of skill. 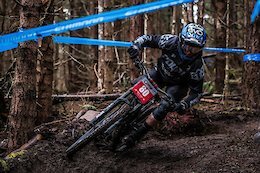 Returning to Ae Forest, a stalwart of British downhill racing, round 1 of the SDA was a wet and sloppy affair. 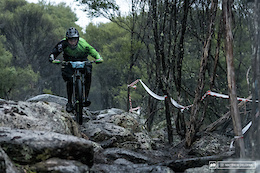 Round 2 of the Hope PMBA enduro at Grizedale had some tough conditions after rainfall that hit race day. 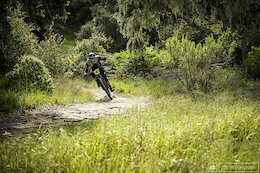 Check in with the IFR squad and the new carbon M29 as they battle with the SoCal dust ahead of a fresh season of racing. 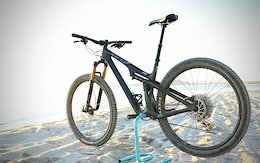 The Boxxer gets a complete overhaul, and is now available in a 29" version with 200mm of travel. 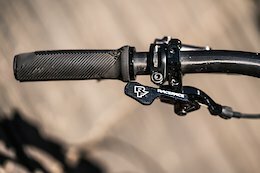 Race Face teamed up with Fox to create the new Turbine R dropper post. 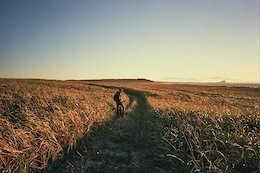 Alex Volokhov proves that his passion for riding bikes, building trails and capturing the moment on film borders on insanity as he pushes through the risk and pain in search of that feeling of accomplishment. 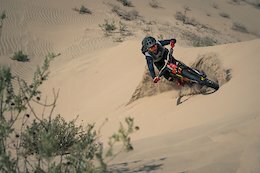 Kilian Bron discovers that sand surfing is a truly unique and amazing feeling as he travels to Peru to conquer the world's highest dune. 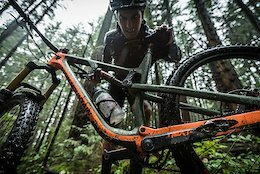 The second round of the local BC race kicks off this weekend. 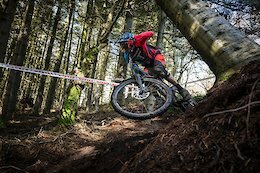 POC Scottish Enduro Series Round 1: Laggan Rocks! 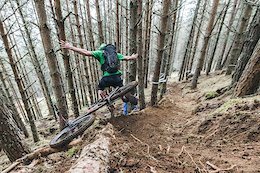 Natural and gnarly, the Scottish Enduro Series season opener was a proper riders' race. 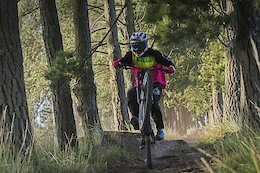 Promising to be bigger than ever, the eternally-popular Tweed Valley will host another year of festival-vibes and good times, celebrating all-things bike. 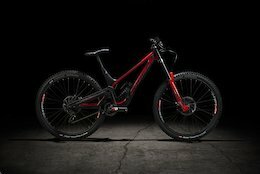 Trying to figure out the difference between the Stumpjumper, Stumpjumper ST, and Stumpjumper EVO? This should help. 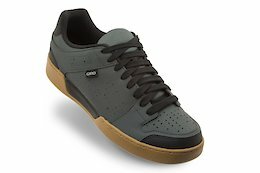 Flat pedals need flat pedal shoes, and Giro is launching several new options with Vibram Megagrip soles. 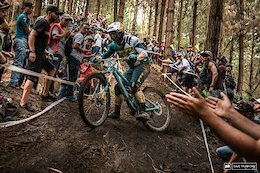 The new kids on the block, Fuji Factory, take on their first EWS in Manizales, Colombia and come away stoked and smiling! 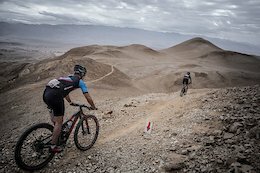 Tough stages and tight racing made this 6-hour race an epic to remember! 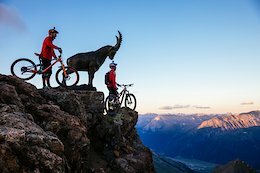 Mountain bike legends Hans Rey and Danny Macaskill join Gerhard Czerner and Freeride Entertainment to accomplish the first back to back mountain bike ascents and descents of Mt. Kenya and Kilimanjaro. 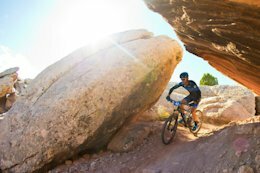 On a mission to escape the snow, Patrick Logan and a group of mates found themselves riding in Moab, Utah on terrain that resembled a skate park designed by Picasso over a week-long trip to remember forever. 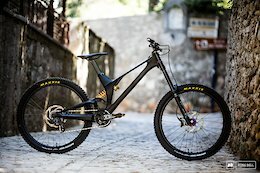 Carbon a little too common for you? 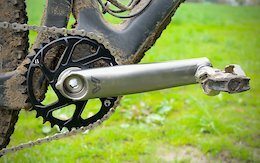 Cane Creek's eeWings titanium crankset weighs just 400-grams and is made for enduro use. 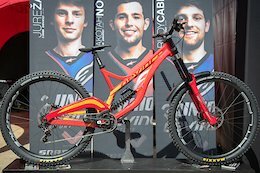 Unior Devinci’s Dakotah Norton materialized out of nowhere in 2015, collecting multiple Crankworx podiums. But “nowhere” has a name, and in Dakotah’s case it’s Davison, Michigan—his hometown. 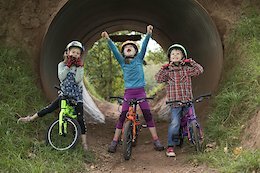 If you've got kids you'll appreciate that getting them into bikes can be an almost ruinous affair for your bank balance. 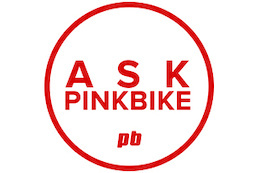 Black Mountain Bikes claim to have the answer. 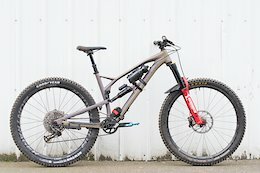 Commencal's new 29er looks like it could be ready to rip! 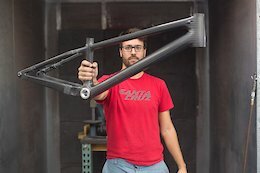 We caught up with the son of Formula's founder to chat about the business' successes, failures and how they intend to become a major player in the market against competitors SRAM and Shimano. 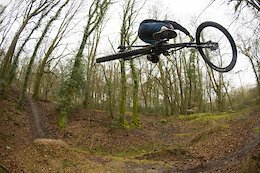 We've got 20 videos for you this week featuring jib lines from 50to01, massive senders in France, some rad BMX skills and loads more. Please enjoy. Late nights, rowdy riding and big grins. 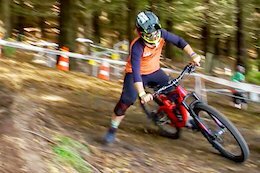 The Highlow crew take on Crankworx Rotorua 2018. 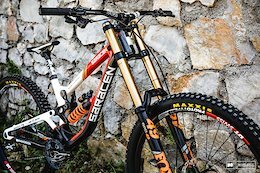 A stacked field of racers headed to Maribor for the final shakedown before the World Cup DH season begins. 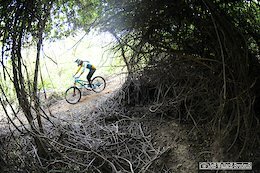 Ever thought about sampling Israeli singletrack? I hadn't either, but now I know better. 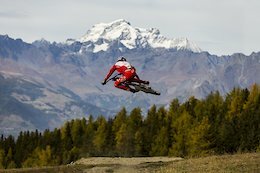 Get all the details of every 2018 World Cup downhill track to help you choose your winning team in Pinkbike's Fantasy Downhill presented by Trek. 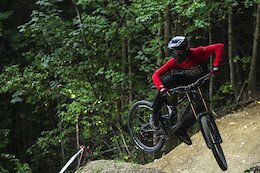 Get ready for a wild one as Troy Brosnan follows Brendog down the track from the first European Downhill Cup of the season in Maribor. Friday the 13th delivered! 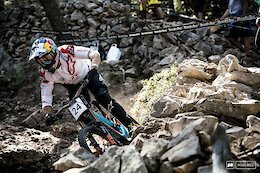 Get yourself in the mood for some downhill World Cup action with this 11-minute epic from 2017's race season. 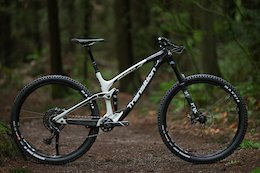 Terrene's new Chunk promises loads of grip derived plenty of research and development. 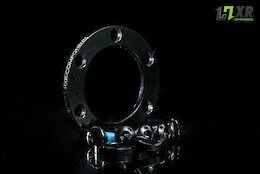 HxR Components have released adapters to make non-Boost hubs compatible with the new 110X20, 110X15 and 148X12 hub standards. 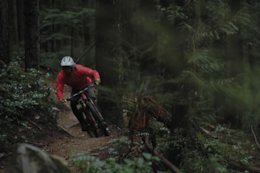 Jeff Kendall-Weed heads north from California to rediscover the wet, technical and thrillingly difficult trails on the North Shore. 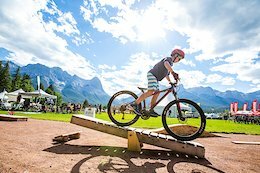 A veteran Canadian cross-country mountain biker, but a first-time Moab Rocks competitor, Evan Guthrie, gives a preview of the three-day, 127km race. 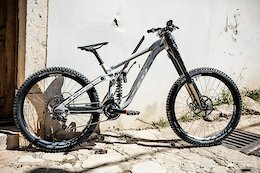 Boutique Spanish carbon bike manufacturer, Unno, enters World Cup racing with Greg Williamson and Taylor Vernon onboard their Ever DH bike. 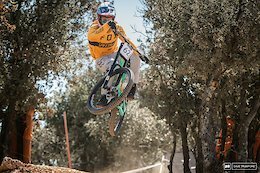 Miranda team rider, Tiago Landeira, is the 2018 Junior European Champion and show promise before the World Cup season starts. 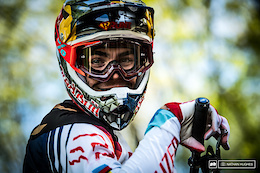 Joining the helmet and protection brand is Italian slopestyle rider Torquato Testa. 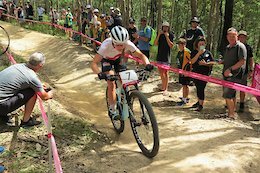 Check out some technical riding from the cross country at the Commonwealth Games in Australia. 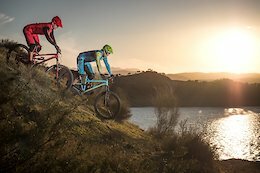 Is there a new breed of mountain bike on the horizon? 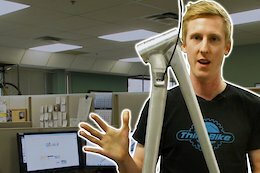 Ryan Nyquist tells you his tricks and tips for getting the bars all the way around. 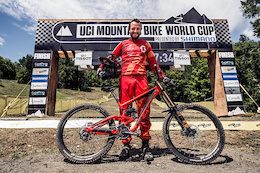 After a three year hiatus, Troy Brosnan is back on Crankbrothers Mallet DH pedals and is looking more ready than ever to challenge for the UCI DH World Cup Championship. After a frenetic, hot summer, the dark, cooler season is a chance to slow the pace down and collect your thoughts. On the men's side, New Zealand showed up to dominate, with three athletes in the top 5, and on the women's side, it was England that collected two out of the three medals up for grabs. 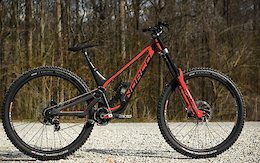 It turns out new bike day is as awesome for the seasoned pro as it is for a newbie. 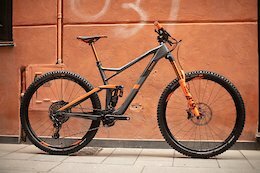 Robin Wallner swings a leg over the new Ibis Ripmo in this flat-out first encounter. 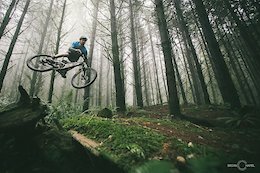 Directed by former pro mountain biker-turned-filmmaker Darcy Hennessey Turenne, this film is a comprehensive look at how the sport began, told by the characters like Brett Tippie who lived it first hand. 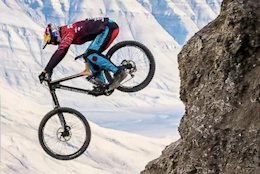 Darren Berrecloth, Carson Storch, Cam Zink and Tom Van Steenbergen embark on a mission within a few hundred miles of the North Pole to explore the vast and remote Axel Heiberg Island. 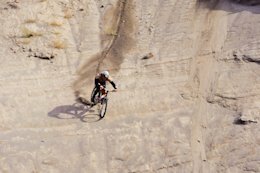 Josh Gibb rags his trail bike on some of the most pristine-looking hero dirt in this chilled edit. 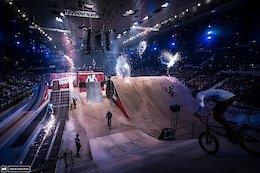 In a clash of two-wheeled titans, we speak to FMX and MTB slopestyle legends at Masters of Dirt to see if mountain biking takes inspiration from freestyle motocross or whether our engined brethren look to us for their muse. 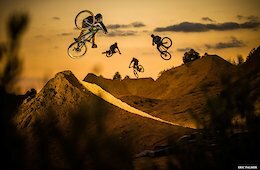 Get behind the scenes of 5 years of dirt, sweat and cheers with The Darkumentary. 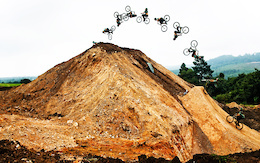 Follow Sam Reynold’s and his all time crew from the roots of Pure Darkness to DarkFEST and all the carnage in-between! 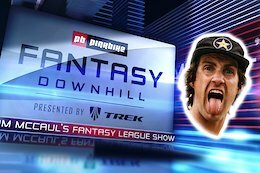 We are excited to announce the launch of Fantasy Downhill Presented by Trek. 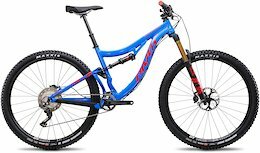 Pick your dream DH World Cup team and you could be in the running to walk home with a Trek Session 9.9! 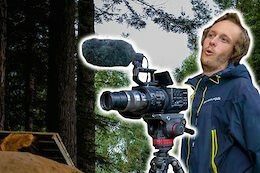 Watch this behind-the-scenes video, and you'll know precisely what goes into a day of filming and producing highlights videos! The first race of the season is in the books, with wins for Rachel and Kade. 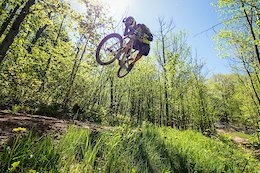 Kurt Sorge rips Turnstyles, Nelson's first machine-built flow trail, dedicated to the late Stevie Smith. 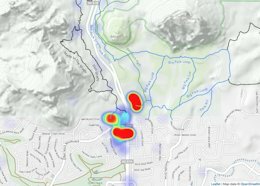 Land owner overlay, historical heatmaps, ride start heatmaps, auto-direction, and print maps. 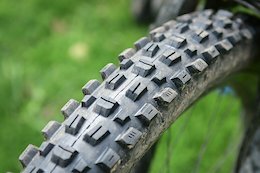 Tools that we make that help trail associations make and maintain great trail networks. 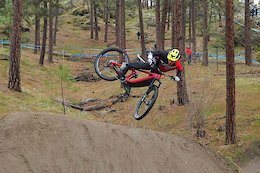 Updated with the official statement from The Queenstown Mountain Bike Club and Queenstown Lakes District Council about the future of the Gorge Road Jump Park. 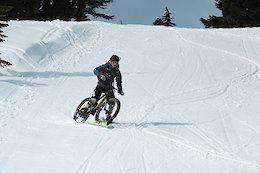 With only a few days before the kickoff of the 2018 Northwest Cup with the Port Angeles Pro GRT, the organizers have released previews of the Cat 1, 2 and 3 courses. 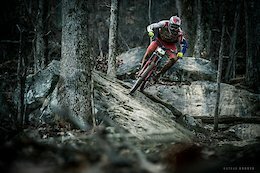 The CLIF Enduro East presented by Maxxis ESC series announces the 2018 schedule, which includes two Enduro World Series Qualifer Races and the Enduro World Series Continental Championship, and explains the EWS point structure. 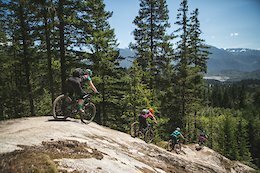 Have you ever wanted to experience the renowned riding in BC? This could be your chance. 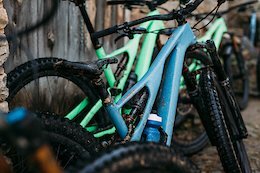 With trail bike geometry and cross-country bike travel, Yeti's SB100 is a 29er that might surprise. 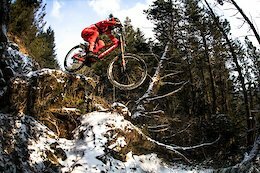 The countdown is on to the opening race of the 2018 UCI World Cup Downhill season in Lošinj, Croatia. Here's a different perspective from the POV track previews we've seen so far. 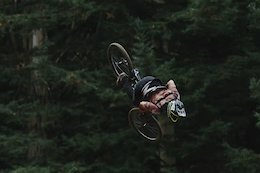 Alexander Bäckvall and Philip Fagerberg rip Järvsö Bike Park in this no-nonsense banger. 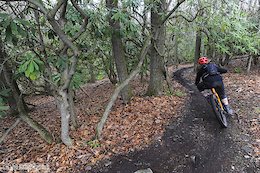 Scoping lines, throwing spades and riding in the woods. 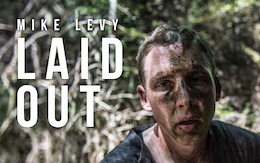 Jordie Lunn's Behind the Mask edit is a short but sweet look into his way of life. 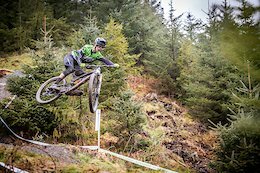 Vitus First Tracks Enduro Cup round one in Castlewellan was a great success with some awesome tracks and tight racing. 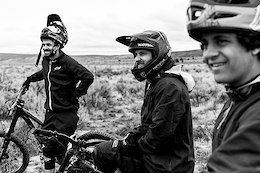 After dominating the first ultimate quiz in Whistler, Brook Macdonald comes back to join Sam Blenkinsop, Conor Macfarlane and others in Pinkbike's Ultimate New Zealand Bike Nerd Quiz. 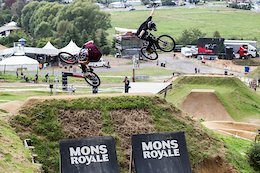 Now that the dust has settled after Crankworx Rotorua in the Southern Hemisphere take a look back at how the Rose Rad Squad got on. The rain didn't put a damper on the competitors' enjoyment of the 2,200m of descending. 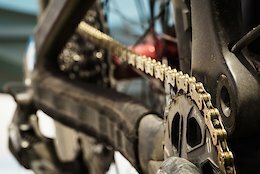 Join SRAM and RockShox at the Sea Otter Classic to learn more about suspension theory, and setting up Eagle and DUB. 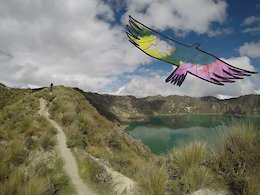 Tito Tomasi heads to Ecuador to ride for two weeks, and brings his watercolours along to help document the experience. The iconic Bomber is back with a new look and up to 180 millimeters of travel. 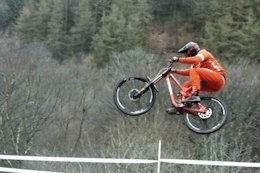 Trials legend Danny MacAskill changes pace with his new video that features flamboyant World Cup commentator Claudio Caluori. 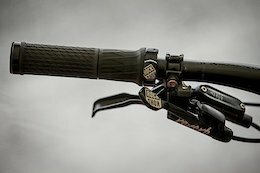 The 36 gains more tuning options with Fox's new, four-way adjustable GRIP2 damper. 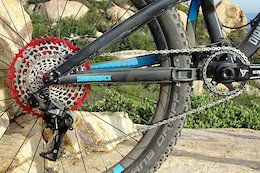 There's a new, lighter weight 34 out there, but there's also a catch: you can only get it with 120mm of travel. 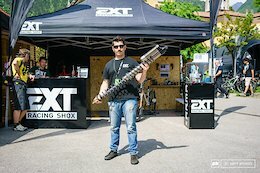 XC courses are getting more technical, which is why RockShox is now offering a longer travel version of the SID. 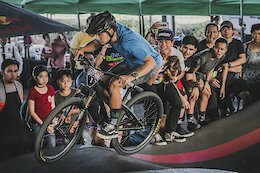 The winners of the Red Bull Pump Track World Championship Qualifier events in New Zealand and The Philippines have won plane tickets to the grand final in September, where the official Pump Track World Champion will be crowned. 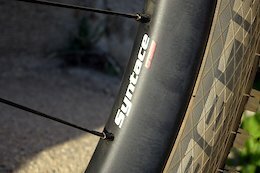 Reynolds Cycling's new carbon wheel line offers wide 24-36mm internal width rim options at a more affordable price. 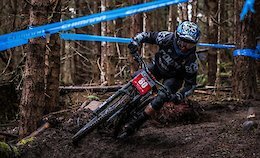 Check out all of the tight racing action from the UK's best riders on Sunday's finals at round 1 of the 2018 HSBC UK National Downhill Series in South Wales. 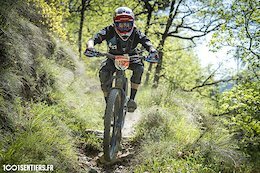 Mathieu Ruffray from France heads to China and Taiwan to set tyres to dirt. 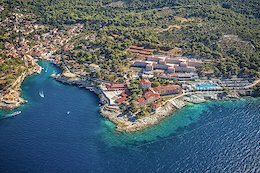 In just two weeks, we will see the UCI DH World Cup kick off at a new venue in Losinj, Croatia. 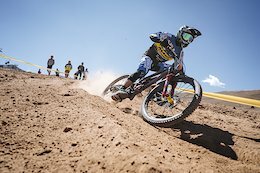 Angel Suarez rode the nearly finished track in March and gives you a preview of it. 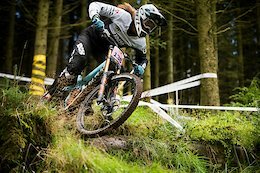 Rachel Atherton, Danny Hart, Tahnée Seagrave and Matt Walker were among the athletes at the first round of the 2018 HSBC UK National Downhill Series that took place at Cwmcarn, in South Wales over the weekend. 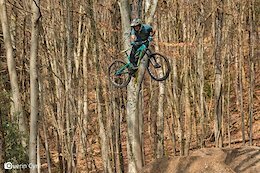 Luciano de Neufville rips his local trails, built on an inactive volcano, to shreds! 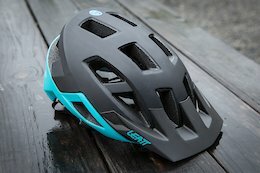 Attention big-wheelers: there's now a Helm for you. 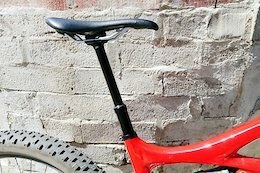 Custom-made for Paul Aston, this dual-suspension 29er from the UK is a 145mm travel chromoly ripper. 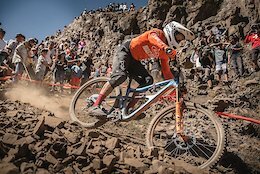 Follow along with the Giant Factory Off-Road Team's Josh Carlson, Mckay Vezina, Rae Morrison and Marcelo Gutierrez at the first two rounds of the Enduro World Series in Chile and Colombia. 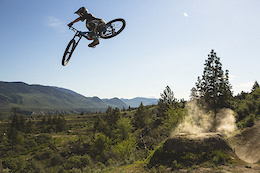 William Robert has one goal in mind – to head to Red Bull Rampage. With skills like this, it's likely he'll make it too! 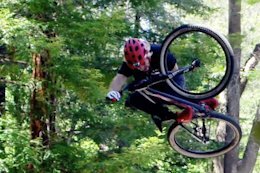 In his latest video, Land of the Free, Owen Marks takes flow and style to the next level on private trails. 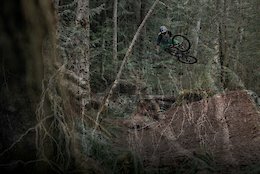 We've got 20 videos for you this week featuring a Wade Simmons throwback, dirt jumping from across the globe, some steep and techy riding in the PNW, Brandon Semenuk and loads more! 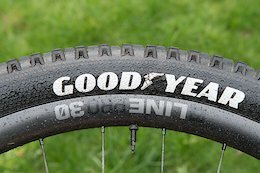 Goodyear is rolling into the mountain bike world with an initial lineup of four tires, including a 29 x 2.6" DH option. 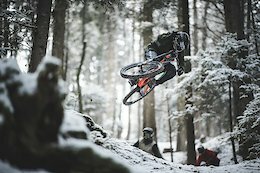 Vincent Tupin throws caution to the wind and sends it to the atmosphere on this massive snowy jump! 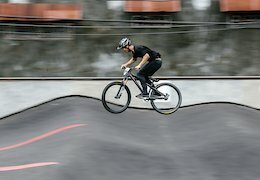 Skateparks, rollerskates, pump tracks, mopeds and a bit of mountain biking. 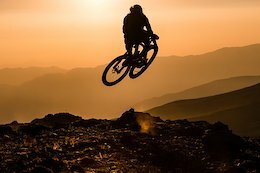 Phil Atwill's off-season is action-packed. 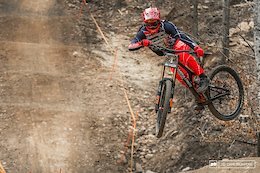 Round 1 of the 2018 HSBC UK National Downhill Series kicked off with a bang! 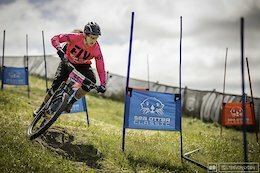 Liv closed down half the Skyline Rotorua bike park during Crankworx this year for their women's ride. More than 100 women showed up, and Brett Tippie was there their goals were for the day, and capture the best soundbites! 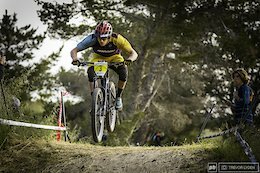 A tightly-packed field of male and female elite World Cup racers took to the Portuguese town of Lousã for the 2018 European Downhill Championships. 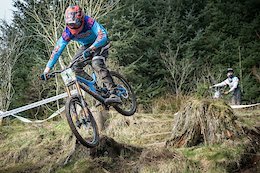 Check out the action from the first round of the HSBC UK National Downhill Series 2018 at Cwmcarn in South Wales. 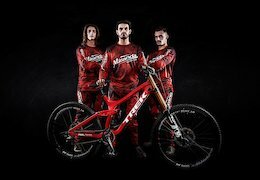 Vasco Bica, Tiago Ladeira, and Gonçalo Bandeira will race on Miranda's DH Team for 2018 focusing on the UCI DH World Cup and IXS DH Cup races. 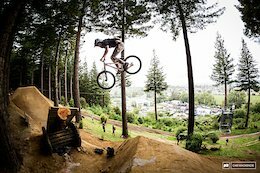 Max Fredriksson, Tomas Lemoine, Szymon Godziek, Sam Blenkinsop, and Martin Soderstrom, and the rest of the Novatec team reflect on their experiences at Crankworx Rotorua this year. 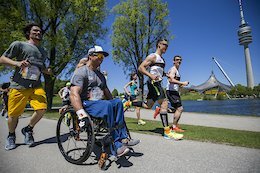 Run for those who can't run or ride their bikes anymore due to spinal cord injuries at the Wings for Life World Run on May 6th and help raise money for research to help find a cure for paraplegia. 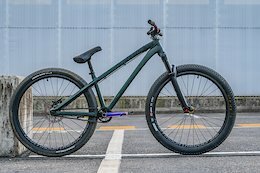 The French crankflip boss talks about his strengths and weaknesses, and what it's like riding the Loosefest course on a single crown fork. 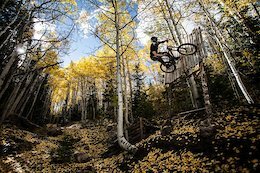 Two friends ride an eclectic mix of slopestyle, DH, new-school, and old-school features on a fresh fall day in Utah. 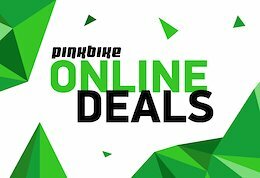 Bikes, helmets, apparel, armor, tools, parts, and more in this month's Online Deals. 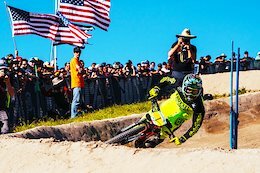 North American Racing News is an occasional round-up of all the national level event announcements, recaps, and teams that are based here in the New World. 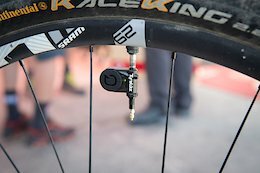 Pinkbike Poll - Would You Take a Free 250 Watts if No One Knew? No motor and no drugs, just a free 250 watts that you most certainly didn't earn. Would you take it? 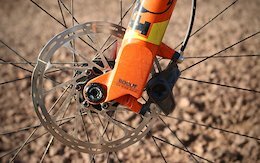 German wide-rim pioneer launches its first carbon mountain bike wheelset. 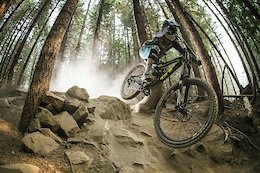 Catch up on all the action from South America with the CRC Mavic Enduro team. 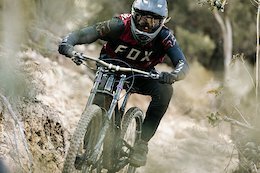 For 2018, Dakine is continuing with a full line of apparel, packs, gloves, and protection as well as lifestyle and unique MTB specific products, including the Hot Laps Collection that features a lineup of minimalist accessories to carry the essentials. 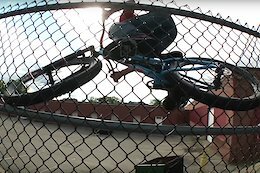 Aaron Chase joins Matt Macduff, Michel Plonka and Louis Lhomel to hit up some street spots. 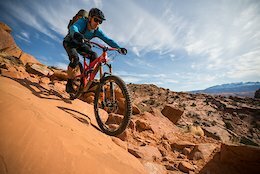 Brice Shirbach visits St. George in southwest Utah and is pleasantly surprised by the number of world-class trails and eagerness of the land management to embrace mountain biking. Customise your look with Puls Wear's new online clothing designer. 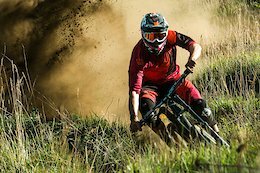 Gamble, the new film from Steel City Media and Creative Concept, brings you thrilling action from across the globe with riders like Greg Minnaar, Josh Bryceland, Steve Peat, Loic Bruni, Brook Macdonald and plenty more. 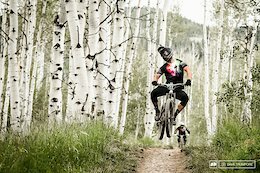 The season opener of the this year's Yeti Cycles Big Mountain Enduro presented by Shimano is fast approaching! 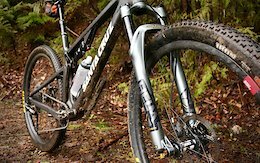 With 29" x 3.0" tires and 130mm of travel the Full Stache isn't your typical trail bike. 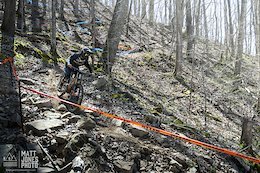 Photos and race report from the kick-off event in the Downhill Southeast Series in Sequatchie, Tennessee. 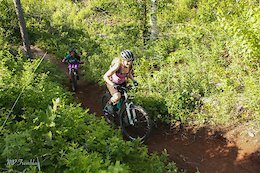 The VIDA MTB Series has partnered with Yeti Cycles and Wheat Ridge Cyclery on Rider to Racer – a program dedicated to fostering female participation in enduro mountain bike racing. 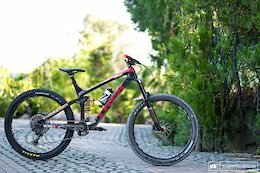 Valentina Höll and her team went to the Lošinj World Cup track and came away with more flat tyres and rim dingers than they could count! 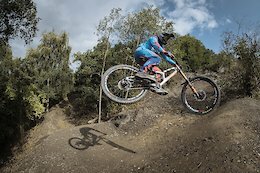 The provisional 2019 World Cup Downhill dates have unofficially been announced. 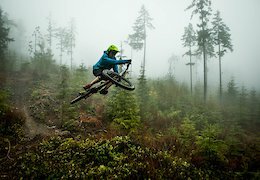 We hang out with Sam Blenkinsop and follow him down a trail or two while asking him your questions from social media. 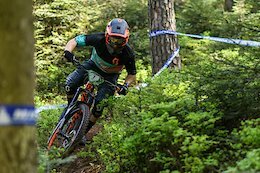 Cai Grocott is looking to take on the UK enduro scene in his first year racing in the Elite category. 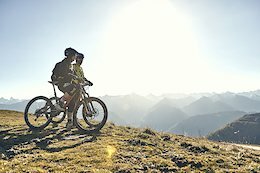 Registration for the two and a half day bike buffet packed with for-fun activities for any kind of rider is now open. 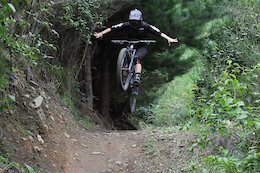 Vaea is absolutely pinned and New Zealand is a stunning backdrop in the latest edit from the crew at Deity. 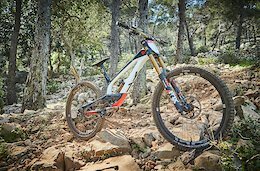 KS USA partner with the Ibis, GT and BH Miranda enduro teams and Focus, KMC and Absolute Absalon XCO racing teams, amongst others for 2018. 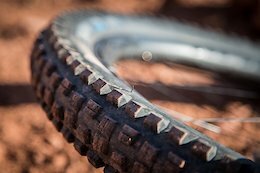 Compressible, closed-cell foam "Neopos" inserts create a more linear spring rate and provide mid-stroke support for air-sprung forks. 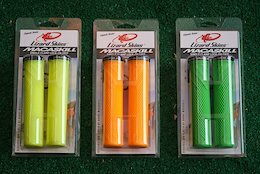 Call it Deals on Wheels, the spring Turkey Sale, whatever you would like. 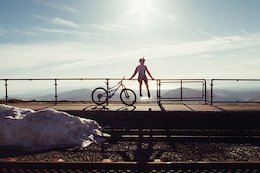 All you need to know is Whistler’s biggest bike sale is coming April 14th and 15th. 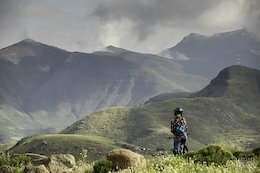 Kingdom Enduro is a 3-day stage race through the Kingdom of Lesotho, Africa in March 2019, and will be the first ever Enduro World Series qualifier on African soil. 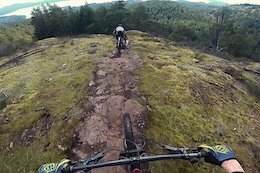 Graham Agassiz, Matt Hunter, and Luke Beers join Thomas Vanderham for some spring trail work and reaping the rewards of their efforts. So much style! 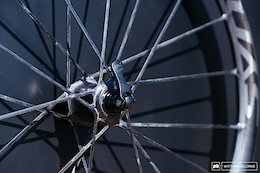 Find out who will be receiving a wheelset from Enve after predicting the men and women's races correctly at last weekend's Enduro World Series event in Manizales, Colombia. 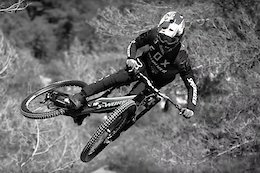 Atherton Diaries Episode 21: Kade is Back! Totally recovered from an injury, Kade is fighting fit and ready to take on World Cup number 1 in Lošinj. 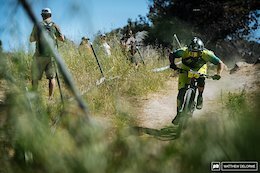 The top dogs of downhill have been released from the confines of the tape and given an un-restricted chance at creating segments that allow their true personalities and raw speed to shine through. The Gamble Film world premiere is on Friday, April 13th 2018. 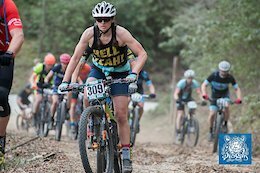 Catharine Pendrel and Keith Wilson have created a new development cross-country mountain bike team, Pendrel Racing, to share their expertise and give back the sport that has shaped their lives. 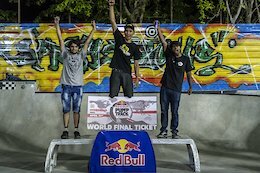 Bali hosted the first ever Red Bull Pump Track World Championship qualifier event with tight head-to-head racing. 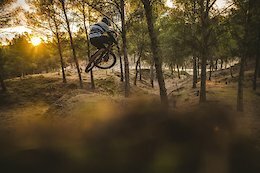 A lo-fi edit with techy tricks at the Barcelona based La Poma bike park. 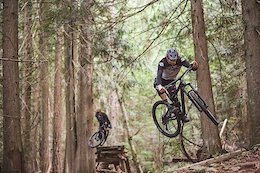 While the industry trend is towards steeper seat-tube angles, this Quebec brand goes the other direction and makes some interesting claims about their first foray into mountain bikes. 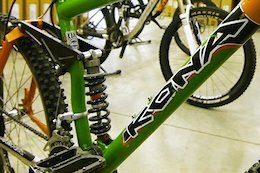 Kona Product Manager Ian Schmitt takes you through the second part of the story about how Kona Bikes has evolved and how their geometry has progressed. 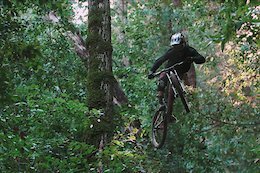 Isaac 'Wally' Wallen rides hard on the little-known, fresh, loamy and beautiful trails of Santa Cruz. 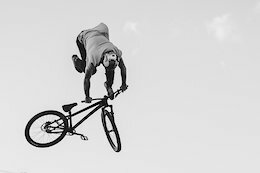 Balancing their goal of working with top riders and keeping true to their brand statement, PNW Components are proud to welcome Jeff Kendall-Weed as a supported rider. 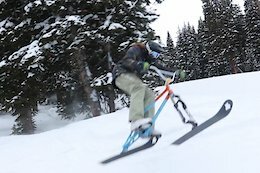 Tngnt claims their Ski Bikes give the same feelings as riding on dirt. 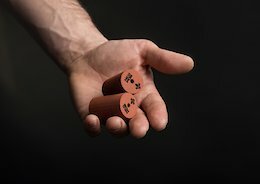 Considering making the switch from air- to coil-sprung suspension? 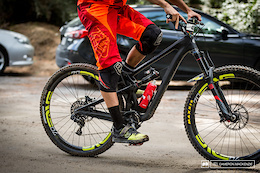 We put Push's conversion kit to the test. 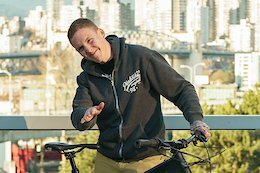 One young rider, who embodies the spirit of freeride, will be awarded the Sombrio Freeride Scholarship - a free ride to a week-long summer bike camp in Whistler, B.C. 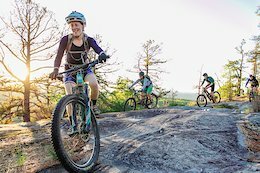 After a sold-out inaugural event in Sedona last fall, Roam Bike Fest is bringing their three-day women's mountain bike festival to Brevard, North Carolina this May. 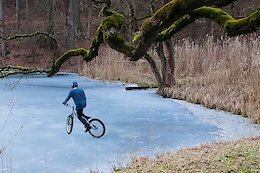 Snow, ice and freezing temperatures don't stop Vinny T, Nico Vink and Makken riding hard and fast. 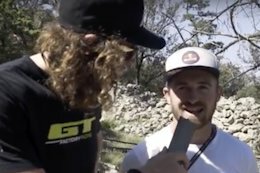 Santa Cruz's Joe Graney, Nic McCrae, Nick Anderson and Jack Russell were live on Pinkbike today to respond to your questions. Check out their answers inside. 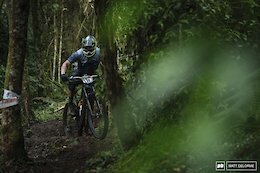 The tropical climate of Manizales lived up to its reputation with regular downpours throughout practice and racing, a stark contrast to Round 1's thick dust. And while the conditions couldn't have been more different, the outcome was the same: wild, wild racing. 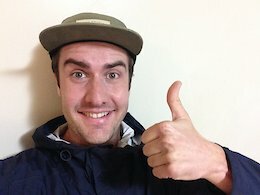 Help Reece Wallace with his “Huck Cancer” fundraising efforts and you can win yourself some great prizes! 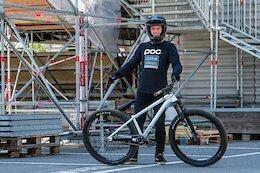 Danny MacAskill got excited about the potential of a complete carbon trials bike after riding carbon wheels for a season, and asked Santa Cruz if they could make him one. The full feature-length documentary is now available on iTunes. 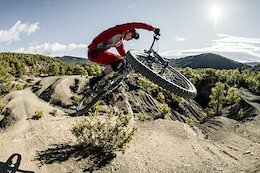 Privateer racer Rich Payne heads out to South America to race the opening round of the EWS series in Chile. 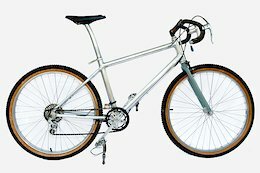 Nothing beats the feeling of riding a brand new bike. 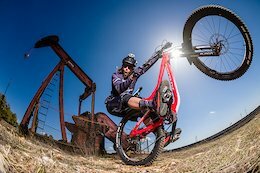 Tyson Wise gets his hands on a new rig and gets out for a shred! 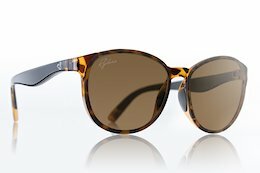 New styles and plenty of fog protection. 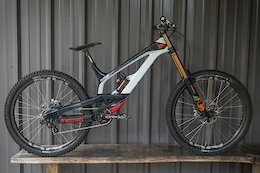 What you could win playing Downhill Fantasy presented by Trek. 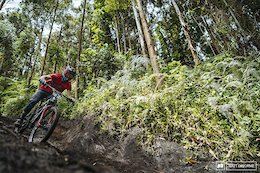 The riders were docked 20 seconds for illegal shuttling at round two of the Enduro World Series in Manizales, Colombia. 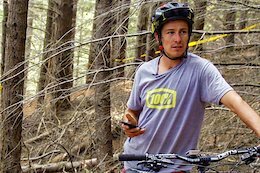 We caught up with EWS director Chris Ball to learn more. 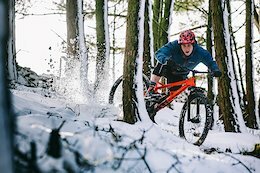 Intense goes beyond the bike with Intense Factory Racing rider Jack Moir and finds out how he spends his time off the race track. 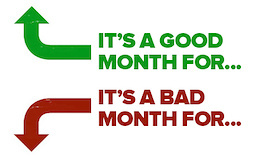 March 2018 - Good Month or Bad Month? 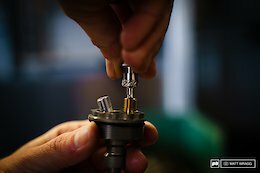 Concussions, racing, new products and prototypes highlight the positive and negative events from the last month. 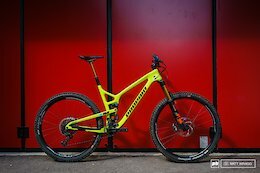 The latest version of Transition's short travel 29er is longer and slacker than ever - does that mean it's better? 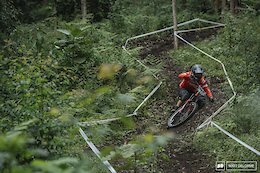 While Chile is home to the legendary loose anti-grip, the rains in Colombia for round two of the Enduro World Series turned the tracks into greased lightning. 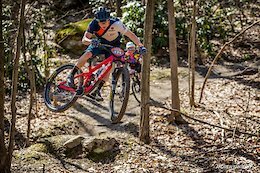 A few tweaks and additions have been made to the 2018 Maxxis Eastern States Cup schedule. The second round of the Endurama Cup took place near Madrid before the Easter break. VeloSolutions have been at it again crafting amazing asphalt pumptracks. 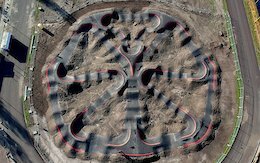 This 500m long fresh work of art is the world’s biggest asphalt pump track and just opened to the public in the Netherlands. 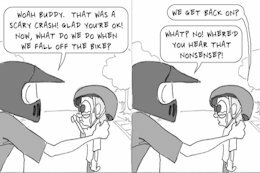 Get your shot of Funnies from OTB to wash down those Easter eggs. 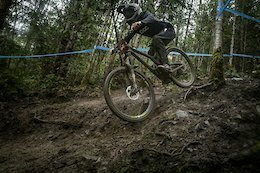 Another wet and wild EWS is in the books - find out who came out on top after seven stages of racing. 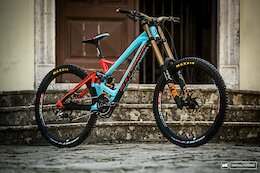 How to play the Downhill Fantasy presented by Trek. 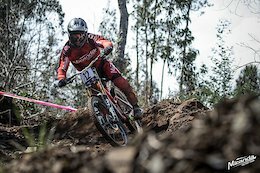 Ric McLaughlin caught up with the pros at the second round of the Enduro World Series in Manizales, Colombia to see how they've changed their set ups ahead of round two's main race. 30% of the comments were about how time zones work. 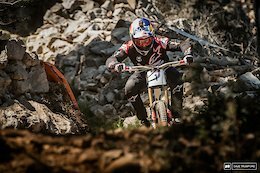 Brush up on those Spanish skills and take a look at what the conditions are like as racers complete the second round of the Enduro World Series. 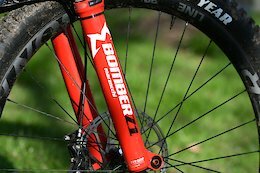 The new WB01 standard will wet your whistle for longer and faster rides. 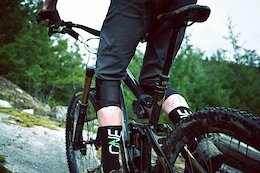 Race Face and Easton Cycling (RFE) are pleased to announce the latest in elite, proprietary cycling technologies. Cinch Voice Command. 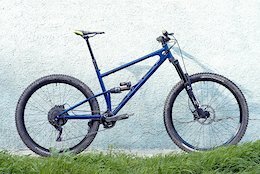 Months earlier, he had logged onto Pinkbike.com and commented "put a real BB on it and I would get one.kill pressfit!!!!" 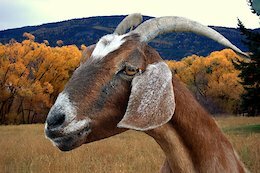 The publishing industry was rocked to its core yesterday by revelations that a member of the cycling press had authored a bike review that did not include the phrase “Climbs like a goat.” Reactions range from mild confusion to stunned disbelief. Forget oval, it’s time for square. Boom. That's VOY all sewed up then.